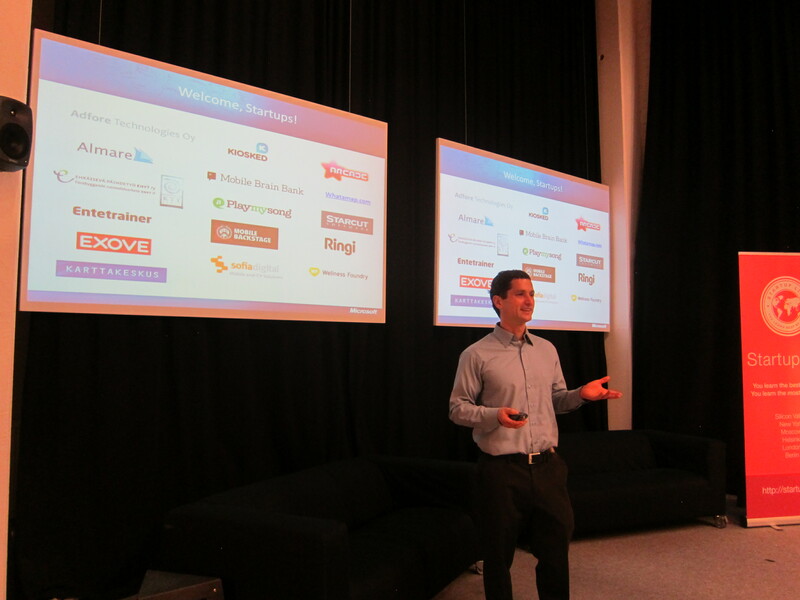 The Helsinki Mobile Acceleration Week event kicked off today with quite a bang. With 16 of the top startups in attendance, this is the largest MAW to date! (See a complete list of the companies and descriptions here). We are hosting the event at the Aalto Venture Garage, a coworking space for Nordic and Baltic entrepreneurs. The venue comes complete with a large congregation area, private areas and collaboration rooms, as well as the “Startup Sauna” space for brainstorming. At the kickoff session, we went over the goals and agenda for the week, talked about the program benefits, and introduced the team. The teams represent a wide range of applications, which adds to the excitement of this event. All the team members are very engaged and eager to continue developing their app throughout the week. Following the kickoff session, Juhani Vuorio from Microsoft hosted a session on the Azure toolkit. We took a break for lunch and then hit the ground running when Jukka Wallasvaara presented the Windows Phone User Interface and Developer experience. The remainder of the day consisted of unstructured development time and meetings with our development partners, Motivity Labs and iLink Systems. All participants received a Nokia Lumia 800 device, straight from Nokia’s HQ down the street in Espoo. We are already looking forward to another action packed day tomorrow, including a presentation by Nokia on the Windows Phone Developer Ecosystem. Make sure to keep checking Twitter for live updates about the event. Mobile Brain Bank is proud to have been selected to Microsoft’s Mobile Acceleration Week (MAW). 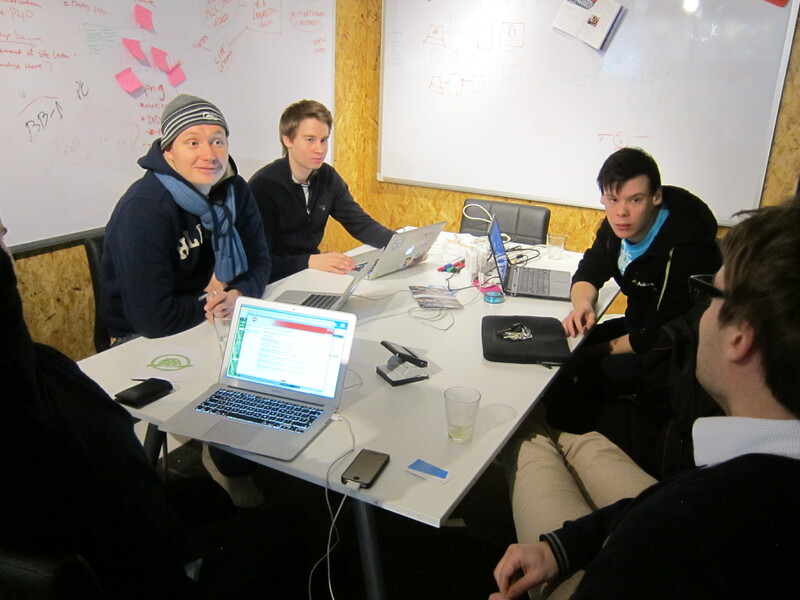 We join 15 colleague startups from Finland to the inspirations setting of Aalto University’s infamous Garage. This is the same place where we attended Startup Sauna acceleration program a couple of months ago, so the environment is familiar but the learnings are new. Microsoft has been running MAW’s in San Francisco, New York and Israel, and now it is Helsinki’s turn. This round is biggest so far, and according to Brian Hoskins from Microsoft’s Mountain View office, also the coolest location (and by this we don’t mean the weather). The companies here range from preventive substance abuse NGO to companies developing maps, games, TV and beyond. During the week (and within next 60 days) the teams plan and start to create a Windows Mobile app, to be uploaded and featured in Microsoft Marketplace. We are also offered a number of benefits from free tools, support and advice to Nokia Lumia 800 devices. The Mobile Brain Bank crew has embarked on an adventurous path, and is coding two apps at the same time. The one we will definitely launch is a Windows Mobile app of the online developer service running at www.mobilebrainbank.com. Another one is a team sports app designed for national or local associations to offer to their member teams. If all goes well, this app will offer sports fans the ability to follow their favorite team, plan for games, track statistics, get news and chat in social media, of course. By end of Day 1, we are all still full of energy, and good food. Let’s see what else the week beholds.